Off the southernmost part of Oriental Mindoro, the town of Bulalacao is home to an array of idyllic islands, rich underwater scenery, and off-the-beaten path natural wonders. This serene destination is perfect for having some quiet me-time, as well as exciting getaways with your family and friends. While we spent our first day in Bulalacao sleeping and mastering the art of doing nothing (thanks to the soulful sound of the waves that served as our natural iPod for the time being), our second day was full of exhilarating activities that include braving waves of the Bulalacao Bay and surviving the challenging trail to Talon Falls. We woke up early to the sound of the pouring rain, had a warm cup of coffee while waiting for our breakfast, which consists of garlic rice, eggs, and lamayo (a local half-dried fish). Service at the South Drive Grill and Homestay was impeccable. All the staff were efficient, fast, and friendly. At first, we thought it would be impossible for us to go even to one island, as the rain poured non-stop and the skies remained grey and gloomy. Thank God, the sun peeked into the clouds minutes after we finished our breakfast, and so Tita Ching, our host, called the boatman right away to schedule a trip to Aslom Island. Island hopping in Bulalacao is divided into three: north, south, and Tambaron Island. Some usually include Tambaron in the north tour, which includes the islands of Target, Silad, and Aslom. The south tour on the other hand includes Buyayao, Suguicay, and Maasin islands. Tours on these islands are ideal during the summer months when the waters around Bulalacao are calmer and thus, safer. Since we went to Bulalacao during the southwest monsoon season, our journey to Aslom Island was not an easy one. The small boat, which can fit two plus a boatman, was banging the waves like crazy. It even rained hard with zero visibility halfway to Aslom Island. I actually panicked, and I even asked him to pullover somewhere near. But he said the rain would clear soon, and true enough, it did! And when I opened my eyes, we were already approaching the beautiful island of Aslom. Aslom Island is one of the closest islands to mainland Bulalacao. It features a white sand bar that shifts its form depending on the waves and the season. It was low tide when we arrived at the island, so we were welcomed by a wide expanse of powdery shores surrounded by turquoise waters. The island is privately owned and in fact, the owner has started building rooms on it. Our boatman says it might be ready by next summer. You can enjoy beach bumming, trekking, and tennis here. There's also view deck that commands an unhampered view of the nearby Target and Silad islands. Aslom Island also has twin beaches: the sandbar and one on the other side of the island facing Silad and Target. Since the skies were getting moody again, we decided to leave the island and arrived at South Drive Grill at around lunch time. By then, Tita Ching was still there, and she happily asked us what we want for lunch. We said spicy squid! Our order came right in time when we already finished freshening up. While having lunch, the staff asked us if we will push through with our plan to visit Talon Falls. I asked her if the trail was easy and she said yes, so I agreed. Talon Falls is about 30 minutes away by car from South Drive Grill in Tulali Beach, and another two-hour trek, back and forth. You may also take a habal-habal (single motorcycle for hire) to go to the falls' jumpoff point in Brgy. Bagong Sikat. The trek indeed looked easy...if it didn't rain hard that day. It was muddy and slippery when we trekked the trail, so we had no choice but to remove our flipflops for us to maneuver better. It was really hard and challenging, so unless it's summer, don't risk it. Safety first, right? Good thing though that three of Tita Ching's staff and a local from Brgy. Bagong Sikat were with us. They really made sure we're safe while trekking. They're the best! But once you get to the falls, your weariness will subside, as the sight of flowing water and the sound of the chirping birds will definitely captivate your heart. During summer, the water here is so clear (contrary to what you could see in this photo as it had been raining nonstop during this time and the waters from the mountains go down the stream here). No entrance fees. The exhausting trek to and from Talon Falls was rewarded by a scrumptious dinner at South Grill Drive, which consists of grilled porkchop and steaming hot white rice. And yes, there's ice-cold Coke and beer to boot. On our last day in Bulalacao, we checked out the southern islands namely Buyayao and Suguicay. Depending on the season, both islands are accessible via Brgy. San Roque, though during the rainy season, the jumpoff point in Brgy. San Roque, which is said to be nearer Buyayao Island is muddy and only single motorcycles can go down there. On the other hand, the jumpoff point in Bangkal is nearer Suguicay Island. From Suguicay, you can ask the boat to go all the way to Buyayao Island but be prepared to experience rough seas! Brgy. San Roque and Bangkal are both an hour drive from South Drive Grill in Tulali Beach. While the waves were strong and scary, the views at Buyayao Island took away all my fears. 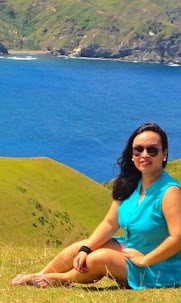 I must say that our visit to this island was the highlight of our trip in Bulalacao. The island, which has lush forests, diverse marine life, azure waters, and a pristine shoreline, is indeed Bulalacao's gem. It's a complete island escapade! So we survived the rough seas and were welcomed by a blinding white stretch of white sand, and just a few feet from the shore was an expansive coral garden teeming with life! We didn't waste time and dove into the shallow waters. The corals were vibrant! We were with a French lady who has been to places like Apo Reef and Malapascua and she said what she saw in Buyayao is very different and interesting. No need to dive! After lunch, we headed back to Suguicay Island, which is just across the jumpoff point in Bangkal. Suguicay Island is an inhabited island that also boasts fine white sand and crystal clear waters. There's another snorkeling site on one end of the island where Emmanuelle, the French lady who was with us, saw a lino fish. Sea urchins here are gigantic so it is best that you wear aqua shoes for your protection. On this trip, we realized that the Philippines is indeed home to many unspoilt islands. There's more a lot of nice beaches than Boracay and Puerto Galera. There's a lot of beautiful snorkeling and dive sites around that are waiting to be explore. Indeed, the Philippines has a lot of hidden gems waiting to be uncovered. It was already dark when we arrived at South Drive Grill. We freshened up and packed our things as we were headed back to San Jose. Our flight was early the following day so we had to stay a night in San Jose. Good thing, there are still vans and buses that go to San Jose from Bulalacao even if it's a bit late already. In San Jose, we stayed at the Mindoro Plaza Hotel, which has rooms for less than a thousand bucks, airconditioned. or through mobile at 09988644143. Great place to visit and explore for our next weekend getaway! Thanks for sharing this with us.